> Do as I say! RE: Do as I say! He's so cute. And that pancake looks tasty. Actually, the bunny looks tasty too. Now your tea tastes eagle! Give me the moon on a stick! That's a tall order. Settle for a lollipop? Send me to the day spa! 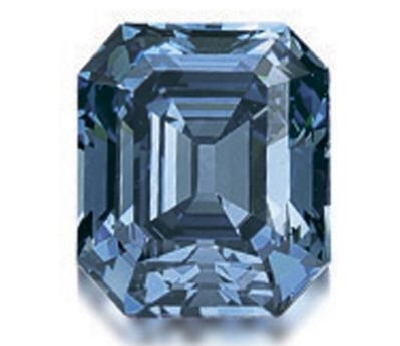 Find me a blue diamond! Get me some ice-cream! I would like a sugar cone (not wafer) with three scoops - hazelnut at the bottom, vanilla in the centre and chocolate at the top. Much appreciated, thanks. They said they'd only give me it in separate cones because of Health & Safety rules, and I had to sign a sheet confirming you weren't allergic to dairy products or hazelnuts. Bring unto me a devil gnome! 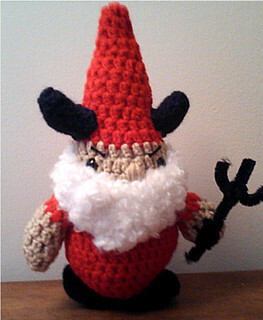 OK, here is your devil gnome, but I've chosen a knitted version so that nobody gets accidentally injured (most likely me) by his pointy horns or hat. Sort out my idiotic neighbours! There you are, I have them all in two nice neat rows! Bring me the head of light entertainment! Would you accept Bruce for this?